Did you know that there is no known cure for dengue fever? I was shocked when I heard this from the event speaker weeks ago during the launch of Dengvaxia Dengue Vaccine availability in select Watsons stores. So what really happens inside the hospital if a patient's laboratory result on dengue test is positive? According to Dr. Rontgene Solante, patients who have dengue fever will only receive fever and hydration management in the hospital. After all these years, I thought there's a cure for dengue like antibiotics or a special kind of medicine. I fear mosquito bites because of dengue that's why I always follow preventive measures at home. Since I always believe that prevention is better than cure, I'll look on the brighter side despite having second thoughts of injecting the deadly virus inside my body. More information on dengue fever and Dengvaxia after the jump. The dengue vaccination was launched in the country by the Department of Health (DOH) together with the Department of Education (DepEd), and later on was made available in medical clinics last year. Now, Watsons is the first retailer to offer it in the Philippine market. 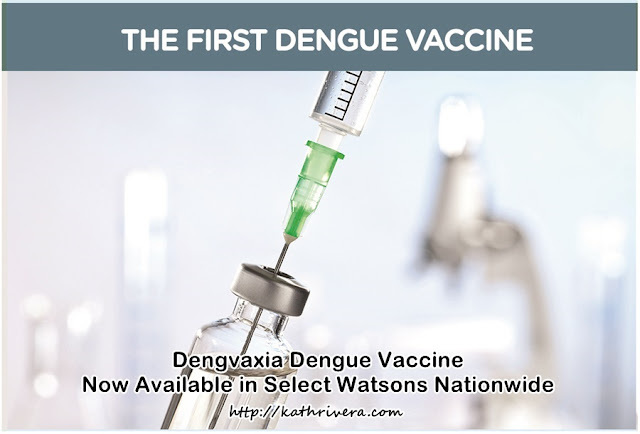 Watsons announced the availability of dengue vaccination (Dengvaxia) in select Watsons stores nationwide starting April 30. Dengue vaccine is used to help protect a child against dengue caused by dengue virus serotypes 1,2,3, and 4. It is administered via subcutaneous injection in the upper arm (deltoid). 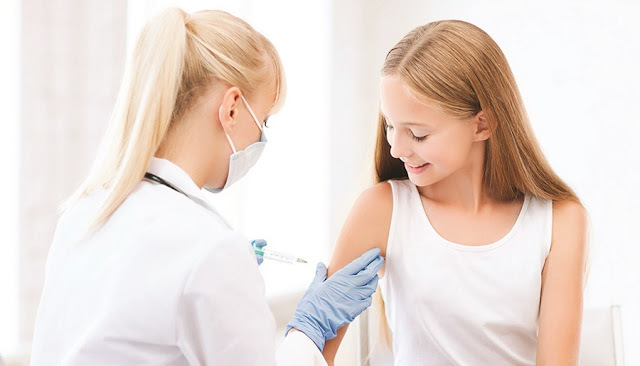 Just like any other vaccine, the dengue vaccine may not protect all the persons who have been vaccinated and may not provide 100% protection to vaccinees. Dengue vaccination is not a substitute for protection against mosquito bites, and vaccinees are still encouraged to take appropriate precautions to prevent mosquito bites. I'm not sure if there's one in the family who 'really' had dengue fever before. I was admitted in the hospital several times when I was in elementary and the diagnosis was always dengue which I doubted. They say that some symptoms of dengue fever may yield similarities in other infectious disease that's why it is very important to do lab tests that will give definite results solely to dengue fever. 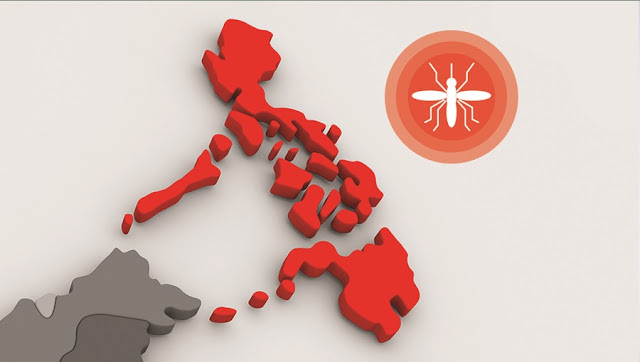 The first vaccine against dengue, Dengvaxia, was created by leading multinational pharmaceutical company and an expert in the development of vaccinations, Sanofi Pasteur. 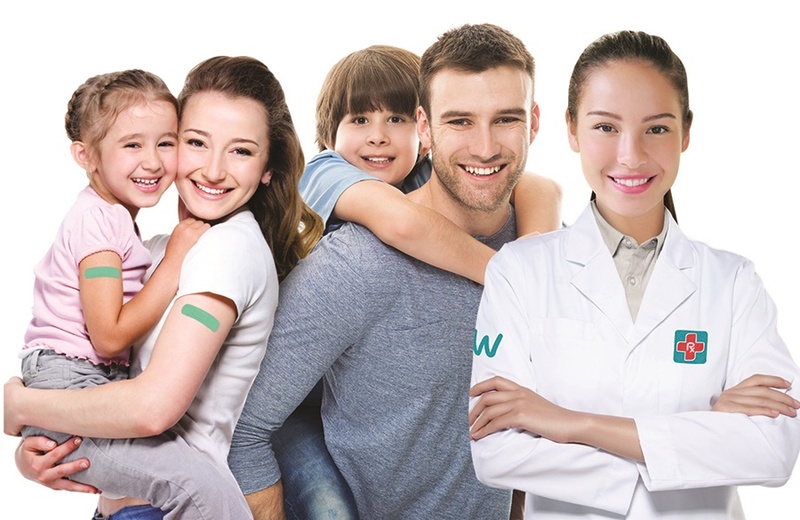 The vaccine took more than twenty years to develop and has been thoroughly tested, based on World Health Organization (WHO) guidelines. Studies of the vaccine included more than 41,000 people and were carried out in 15 countries including the Philippines. The results were fully reviewed by a committee of independent experts and has also been recommended by WHO. “As part of our commitment to improve the lives and health of Filipinos by making health care more accessible to them, we decided to offer dengue vaccination in our select stores nationwide. 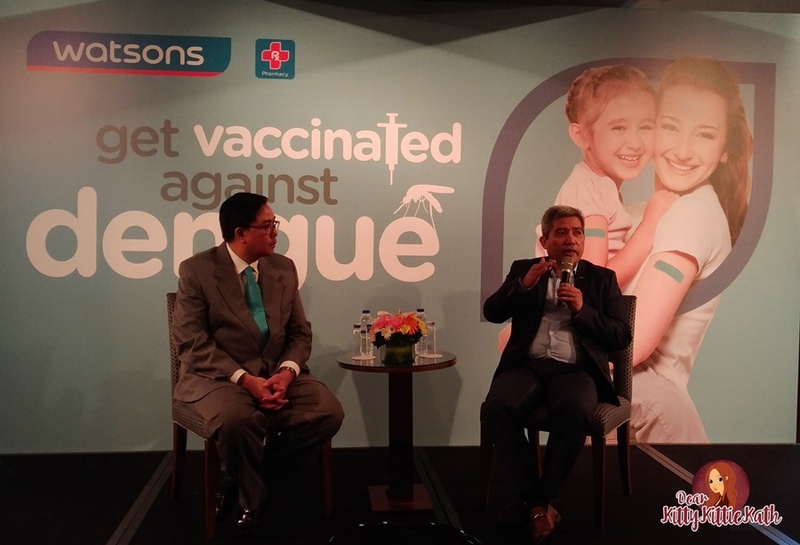 Dengue is a recurring epidemic in the country, that’s why we recognize the importance of protecting Filipinos against this deadly disease through the vaccination”, says Watsons Trading Health Director, Mr. Danilo Chiong. As of February 2017, the vaccine has been approved in 14 countries where dengue is endemic including Singapore, Mexico, Brazil and the Philippines. The dengue vaccine has also gotten the endorsement of the Philippine Society for Microbiology and Infectious Diseases (PSMID) and Philippine College of Physicians (PCP). Besides the health risks, dengue also has an impact on public health costing billions of pesos of tax payers money with treatment costing tens of thousands in pesos per patient. Who can get the vaccine? Individuals 9-45 years old living in endemic areas for prevention of dengue illness caused by dengue virus serotypes 1, 2, 3, and 4. P4000 per dose or P12,000 for all 3 doses, which is a reasonable price given the high incidence of dengue and high cost of treatment in the Philippines.